Replacing someone as charismatic and well-respected as Paolo Favino was always going to be a big ask; but I am optimistic that I can avoid becoming Healthcare UK’s own version of David Moyes. That is where the footballing parallels end, because the team that Paolo leaves behind is infinitely superior to the one that poor old Mr. Moyes inherited. My first impression of Healthcare UK is that of a team in which everyone understands the part they have to play in order to achieve success. That perception is reinforced by the way in which they seem intent on smashing every target they are given; winning £749.15 million worth of business wins over 2014-15, from an initial goal of £500m. International demand for NHS services stands at around £11 billion. However, this window of opportunities will not last forever, and trying to respond to that level of demand alone would be a serious difficulty for even the biggest private sector companies, let alone organisations that rely on public funding. Thus the NHS has to be extremely cautious about the way it spends its money. To help NHS organisations to take advantage of all the overseas opportunities available to them, whilst ensuring that they do not lose sight of their duties at home, is a huge challenge; but from what I can see so far, everyone at Healthcare UK is very much up for that challenge. As well as putting more money into British coffers, we also have the chance to increase standards of health worldwide as well as at home: a truly commendable cause. I joined Healthcare UK on 11th August, just a few weeks before one of the largest events the team has ever run. Indeed, Healthcare UK has been busy making arrangements for its presence at NHS England Health & Care Innovation Expo in Manchester on 2nd and 3rd September. Whilst some might see it as a little unfortunate to be starting at such a chaotic time, it has allowed me to see just how well my colleagues are able to handle the pressure that comes as a result of working in such an intensive and fast-paced area of government. Despite that pressure, each and every member of the team has taken time out to make me feel welcome; something for which I am intensely grateful. Manchester itself promises to be an incredible opportunity to showcase British healthcare and to put NHS organisations in touch with the right international purchasers and investors. As well as welcoming several health ministers, we will be hosting delegations from across the world; all of whom will no doubt be tremendously excited at the prospect of seeing what the UK has to offer in the field of healthcare. They will be welcomed by NHS organisations, private companies and several high profile individuals; including Jeremy Hunt and Simon Stevens. I have already been warned by several teammates to expect a very intense two or three days where one will have to, and I quote, “rely on adrenaline” to navigate through all the talks, seminars, site visits, drinks receptions, dinners and networking events we will be organising. 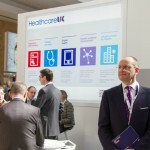 Healthcare UK will have its own stand for the duration of Expo. Whilst the stand will always be open to people who just want to learn more about what we do, on the first day of Expo we will be hosting talks and seminars on specific international opportunities, whilst on the second we will be looking at NHS experiences of overseas activity. Interestingly, an investment opportunity session, to be given by UKTI specialists just before Jeremy Hunt’s keynote speech, has proven to be particularly popular. This session will focus on how to lift international projects off the ground, which, given the funding issues that surround the NHS, is a huge challenge. 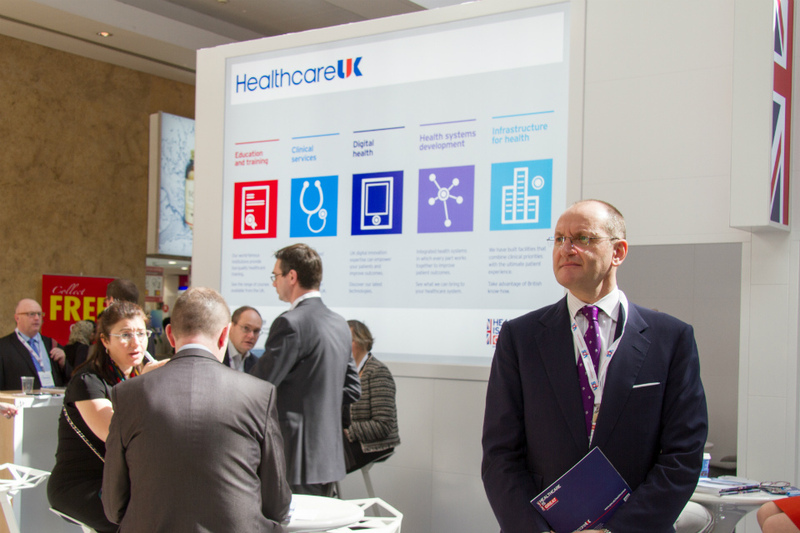 Ultimately, Healthcare UK has one very clear purpose: to help UK businesses win more international business. The combination of individuals, companies and public sector bodies that will be in Manchester for those two days represent an invaluable opportunity for Healthcare UK to put the right people in touch with one another and to subsequently create the right climate for business. If we are able to make the right introductions and create a decent pipeline of projects, all this effort will have proven to be worthwhile.